Jennifer Lawrence looks super sleek while arriving at the premiere of ‘The Hunger Games: Mockingjay ? Part 2’ on Wednesday (November 11) in Beijing, China. Jennifer is wearing Dior Haute Couture Dress and Neil Lane Jewelry. Jennifer Lawrence looks stunning in a custom black gown from Ralph Lauren Collection while making her appearance on the red carpet at ‘The Hunger Games: Mockingjay ? 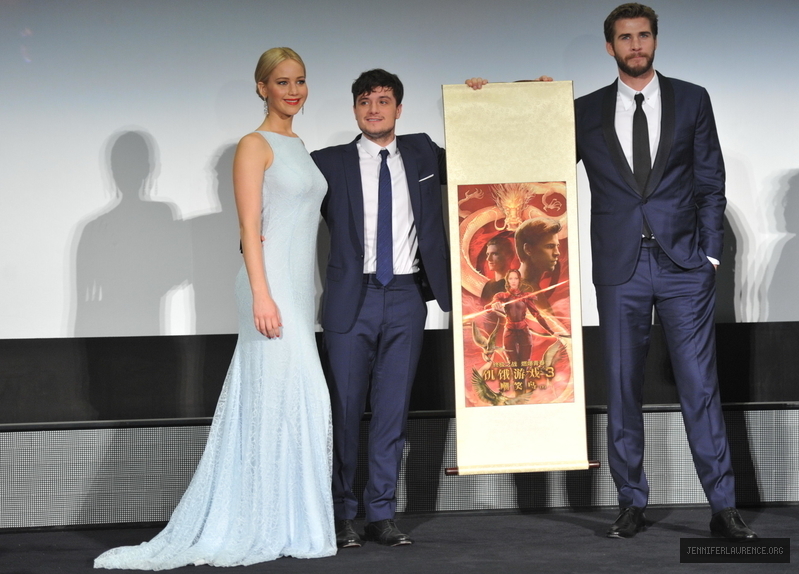 Part 2’ premiere held on Tuesday evening (November 10) in Madrid, Spain. The 25-year-old actress was joined by her co-stars Liam Hemsworth and Josh Hutcherson, as well as director Francis Lawrence and producer Nina Jacobson. ?Focused. En route to the premiere. 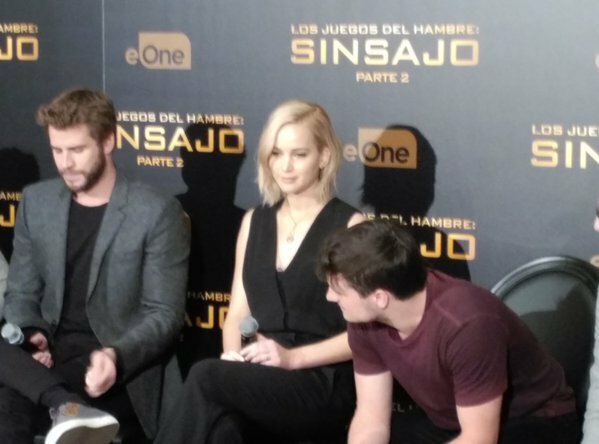 ?#?MockingjayMadrid?,? Jennifer captioned a photo on Facebook. Earlier in the day, the group looked great at the press conference & photocall for the movie. Jennifer Lawrence is absolutely glowing on the red carpet of ‘The Hunger Games: Mockingjay ? Part 2’ premiere held at Le Grand Rex on Monday (November 9) in Paris, France. The 25-year-old star of the film was joined at the event by he co-stars Liam Hemsworth, Josh Hutcherson, and Woody Harrelson, along with director Francis Lawrence. Jennifer is wearing a Dior Haute Couture dress. Jennifer recently cleared up rumors that she doesn?t wash her hands after she uses the bathroom in this very funny video posted to Facebook. ?I hate talking to the Internet but I can?t get asked another question about my hygiene on this press tour. I told MTV I didn?t wash my hands after going to the bathroom because I was trying to gross out Josh and Liam and I ended up grossing out the world. Of course I wash my hands after going to the bathroom! (I can?t believe I?ve put myself in a situation where I even have to say that.) Anyway with all the rumors I?ve ever heard about myself this is the one I really had to put to rest,? she wrote on her Facebook. Watch the video above!